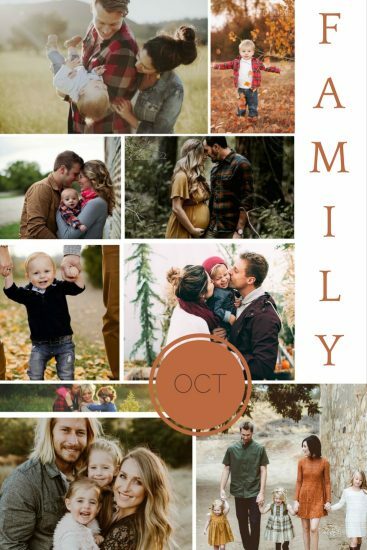 October family portraits finish off this month’s set of mood boards. We love the colours and locations used this month. Again, this is the perfect opportunity for families to get some beautiful portraits outside in that hugely desirable golden light. This could be playing in a local park, visiting a local pick-your-own pumpkin patch, taking a stroll around town or just enjoying some last minute sunshine in the back garden. These autumnal portraits make a great addition to any family’s home with all the beautiful warm colours on display. Not to mention, a great alternative to the family summer holiday snap!